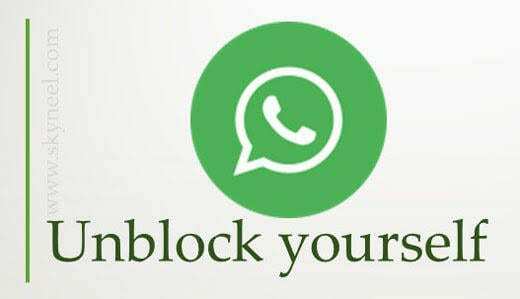 We will be showing you the process to take in order to unblock yourself on WhatsApp if someone blocks you. This is a fairly simply trick that does not require the use of a third party application. We block people for quite some reasons. It might be because you just broke up with a spouse. And you no longer want the person on your list to view your status, see your profile picture and most importantly send you messages. Almost all social networking sites and instant messaging app have this feature. They have this feature because they know that as much they would like to improve the way we communicate with people. There will also be sometimes when we just do not want to talk to some people and would not want those people contacting us for whatever reason. This is good if you are the one doing the blocking. But what if you are the one being blocked? And you have some important/last words to say? This is where this trick becomes useful. With this trick, you get to have a second chance to say those things you did not get the chance to say. Check Profile Picture: Check profile picture of the person you think might have blocked you to see if its gone or blank. If there is no profile picture, then you might have been blocked. Check Last Seen: Check if you are unable to see the person’s last seen. If you are unable to see it then you might have been blocked. Check Status: Check To know If you can still see the person’s status. If not, then you might have been blocked. Send A Message: If you send a message and marks the first time and does not mark the second time, then the person might have blocked you. Although, you might want to note that someone people might have removed their profile photo, turned off their last seen, removed their status and have their data connection turned off. Making it seem as if they have blocked you. But this is highly unlikely to happen all at once. So if you are somewhat sure that you have been blocked or want to make sure that you have not been blocked. Then follow the steps outlined below to unblock yourself on WhatsApp. ⚫ Open Your WhatsApp App and Click on the Three Dots at the top right-hand corner of the App. ⚫ Select Settings from the drop Down Menu. ⚫ Select Delete My Account. ⚫ Confirm you own the number by inputting your number in the space provided. ⚫ After successfully deleting your number, Uninstall The WhatsApp App. ⚫ Reboot or Restart Your Phone. ⚫ Now, Install the WhatsApp App. ⚫ Complete the registration process with the Same Number. Congratulations, you have been unblocked by everyone who has ever blocked you. You can now go ahead and send them messages. You can never tell when Knowing how to unblock yourself on WhatsApp might just come in handy. I have used this process a couple of times, and it is a straightforward and simply process.